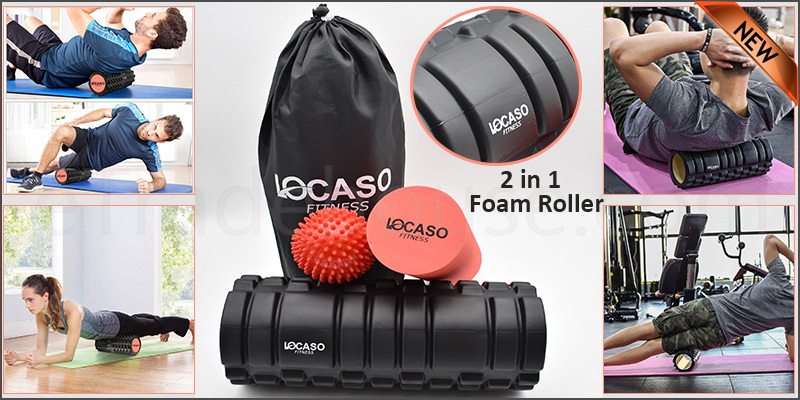 Multiple Body Parts Exercise: 2 in 1 foam roller with specially designed firm and bumps to gently massage muscles. Use for multiple areas including lower, upper back, neck, calves, shins quads, hamstrings, delts and chest. Economical and versatile exercise tool. Erodes trigger points. Helps to restore flexibility. Quick relief for muscular pain and discomfort. Faster Muscle Recovery: This sports foam rollers set will reduce your recovery process by half and give you more time to focus on your training. Our massage roller is Ideal for the release of tight muscle, to prevent soreness and reduce inflammation in your body. The muscle roller will remove the stress from your body and make you feel stronger and healthier like you've ever been before.